"Life is like a roller-coaster, full of ups and downs. And right now I feel like I'm floating in the air!" This is how our newest lottery millionaire described the events that made February 2019 the happiest month of his life. Let's dive right into a romantic winner's story of a very special kind, with unforgettable moments of good fortune! The man from Lower Saxony in Germany is preparing to begin his honeymoon. He is standing at the gate, waiting for the plane to be ready for boarding, so that he and his sweetheart can fly to the Far East. He is distracted by the vibration of his smartphone, it's an incoming call from an unknown number. In fact, the mystery caller is Tania from Lottoland, and what she is about to tell him is going to cause him to grab a pillow from onboard the flight and use it to muffle his joyous scream! Our fortunate fellow from Lower Saxony - he chose to remain anonymous after his big win - has been in a happy relationship for four years. In the middle of February 2019, they finally tied the knot and commited to spending a lifetime together. Neither he nor his new husband could have suspected that the icing on the cake of this month of personal happiness would follow only a week later - in the form of a multi-million-euro win in the lottery. 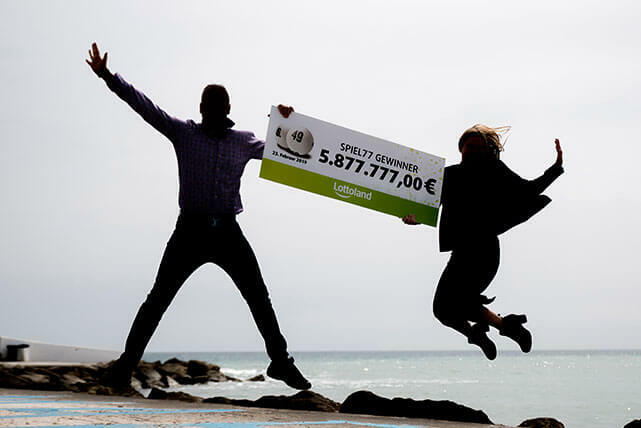 Just over €5.8 million (around £5 million) was on the line when the draw took place on 23 February 2019 for the jackpot of the German Lottery. The German lottery is a little different, as it features bonus games which can sometimes grow to higher jackpots than what is on offer from the main draw. That's what happend this time, when our winner bet on both the main draw and the Spiel77 extra game. It was just as well that he did, since the numbers he chose for the extra game - 1 0 0 5 5 1 7 - turned out to be a winner. This is a sequence of numbers which our German winner had chosen at random over three years ago, and he can now reel them off without even thinking, saying: "I will never forget those seven numbers!" We meet the cheerful winner and his new husband a month after the draw in a hotel in Gibraltar. With a big grin, they take us through the hotel lobby to reception. "I'm a bit nervous now," says the lucky guy while he receives our congratulations. Barely a minute later, there is no sign of nervousness, as we go for brunch together. It is the beginning of an afternoon which everyone involved will remember for a very long time. PATIENCE IS A VIRTUE: AFTER 3 YEARS HE HIT THE JACKPOT! 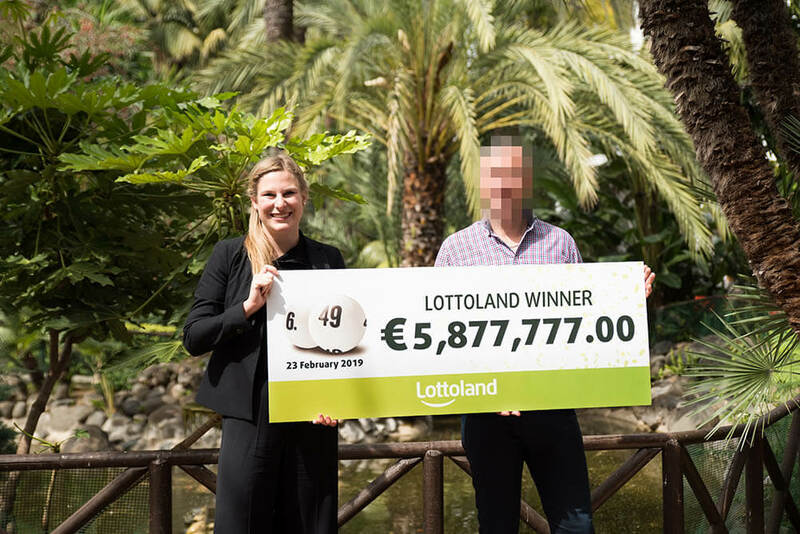 Our new millionaire winner is a restaurateur in his native country, and has been placing subscription bets on the German lottery and extra game with Lottoland since 2016. Every now and then over that time he has won smaller amounts, but shortly before the wedding he had an intuition that something big was coming his way. He had won more than 100 euros a week before the "I do's" happened. He was delighted with that three-figure win, little realising that a monumental jackpot was coming his way on February 23rd. "Words can't describe it" he says with a shake of the head. When handing over the official documents for the payout, he finds only superlatives like "Fantastic! Spectacular!" to describe his emotions. 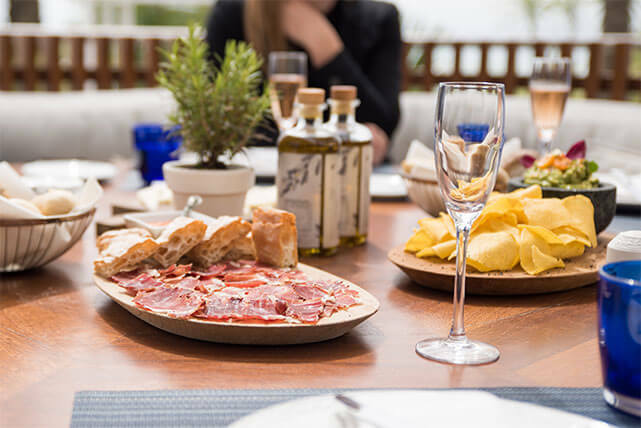 There is a lot of laughter on this windy day on the south coast of Spain. The new multimillionaire talks about the moment at the airport when the call from Lottoland made the seemingly impossible come true: "Who is that? What's it about? ", he thought at the time. Goosebumps can not describe his condition, it was more like he was overwhelmed by a strong and sudden fever. Such was the size of the jackpot prize, his husband gives him a new nickname on the plane: "I'm going to call you 'Number 5 point 8' from now on." 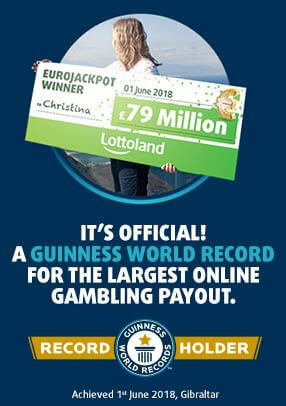 His jackpot win was the only one in Germany on the day of the draw - exclusively and online with Lottoland. That means that the big €5.8 million prize did not have to be shared with other winners, just with his closest family. "Mum will get a small, new house" he said, referring to the mother of his husband who has lived in relatively simple circumstances up until now. Of course, his own family can also look forward to receiving financial support from our newest millionaire. The generosity of the couple runs like a thread through our conversations on this day. With shining eyes, the couple keeps talking about being happy, about sharing life and sharing moments with each other. He has learned that from his new husband, says the Lower Saxony winner, the person who always believed in the day when the big win would arrive. Anyone watching the newlyweds at this moment would see how lucky they are as it seems to be written on their faces. Despite the events in February, "we will go to great lengths not to change. We'll stay grounded." says our big winner. This also fits in with his life motto: "Never bend and always stay true to yourself." So far they are following this advice and not dreaming crazy dreams. Although the ambitions of taking a holiday in the Maldives and owning a puppy dog can certainly be realised, they are not about to start throwing millions around on far-fetched notions, saying instead: "We are very relaxed and chilled out." Of course, the lucky winner's subscription to the weekly two draws will continue, despite the big win he was very clear on that point. He also has a tip for all those other jackpot hunters out there, saying: "Stick with it, don't lose faith, and never change your numbers." Of course, there are never any guarantees when it comes to winning the lottery, but this seems like sensible advice! We start moving again and go for a walk to the beach, where the symbolic cheque is handed over. Time and again, the dream couple poses arm in arm, the photographer spontaneously shooting pictures of the two as they laughingly jump to avoid the surf. On the way back to the hotel we pass a pavilion in the adjoining garden, which triggers memories of the first big 'jackpot' of that fortunate February. "Looks just like our wedding," smiles the Saxony man and shares a glance with his husband. Lifelong love and a lottery jackpot win together prove one thing: "Fairytales happen in real life too." We wish our golden couple success and happiness for the future, and hope to keep in touch with them to find out how they are getting on. From everyone at Lottoland we wish them all the best in their new adventure together!